Request to add Handles to 3D objects so you can see their orientation in your scene. Of course it would need the ability to be bypassed once you're done developing the patch. 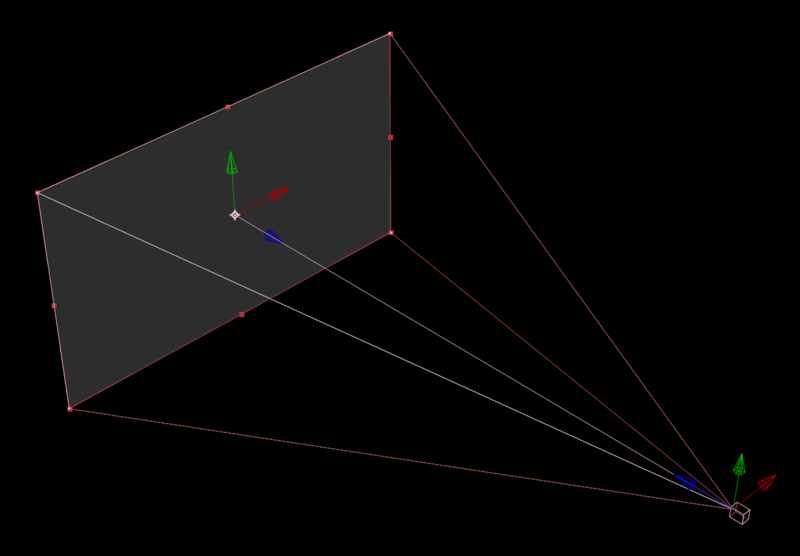 It would also be helpful to see a representation of any camera's in your scene with a wireframe showing it's FOV. See attached screenshot from AE. I updated the titles of this and Visual input editor for VuoTransform and VuoTransform2D to distinguish them. I suppose adding the ability to move the items using the handles is icing on the cake. Was really only looking for a representation of the object's axis. Oops, I misunderstood about the handles. Thanks for clarifying. Since the interactive handles would be substantially more development time, I split that off into a separate feature request (Position/orient 3D objects by using the mouse on the rendered output), re-renamed the current feature request, and bumped it down to 1-dot complexity. Bounding boxes could be rolled into the current feature request. Your initial post also mentioned the camera debug info. thank you Jaymie. definitely don't want to bloat the nodes. keep them lean. debug info is perfect.